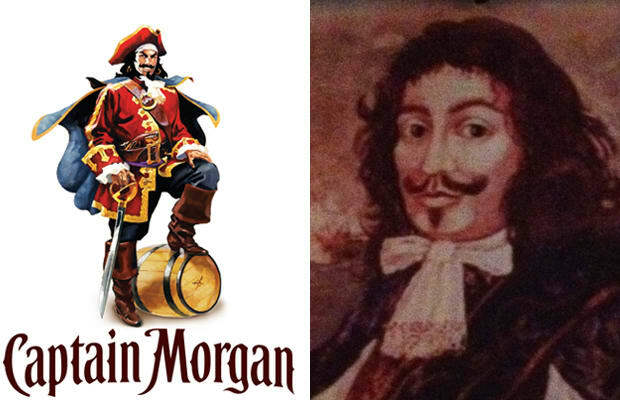 Most people only know Captain Morgan as the swashbuckling logo on the rum bottle (above, left). Nice boots. In real life, Sir Henry Morgan (1635-1688) was an admiral in the Royal British Navy who battled the Spanish across the Caribbean. Between 1667-1972 he defeated the Spanish Main in Cuba, Costa Rica, Panama, and Columbia. The technical term for Morgan's occupation was "privateer." But when you're feared throughout the new world for taking lives and treasure, especially when there's a peace treaty between your country and Spain, it's easy to drop a few letters and turn "privateer" into "pirate." Morgan is woven into the fabric of Panama's history. The stories may vary but everyone knows his name. The painting of him (above, right) hangs in a bar in Portobelo, where Morgan first took a Spanish stronghold in 1668.